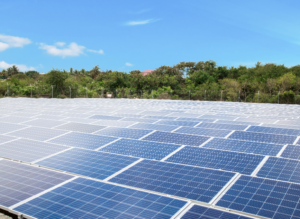 Solar technology company REDAVIA and ElectriFI have signed a USD2m financing agreement to support REDAVIA’s expansion in Ghana’s industrial and commercial sector, offering affordable, reliable and clean power generated through modular solar farms. REDAVIA is an energy company that offers solar power for businesses and communities with a regional focus on West and East Africa. The Germany-headquartered company with subsidiaries in Ghana, Kenya, Tanzania, and Luxembourg has a proven track-record in solar farm design, manufacturing, deployment and maintenance, and targets the local business community including agro-foods processing, manufacturing, public infrastructure, and hospitality & real estate companies. “The investment will bring around 15 MWp of solar PV assets to commercial and industrial off-takers such as educational institutions, agro-foods processing and manufacturing companies in Ghana,” elaborated Quentin Antoine, Senior Investment Officer at ElectriFI. ElectriFI and its sister-fund AgriFI, are managed by EDFI Management Company NV in close association with the 15 European Development Finance Institutions (EDFI) as well as many other like-minded investors. REDAVIA offers solar power for businesses and communities in West and East Africa. The REDAVIA system is based on a pre-configured model, including high-performance solar modules and electrical components. It is easy to ship, set up, scale and redeploy. Businesses and communities benefit from a cost-effective, reliable, clean energy solution with minimal upfront investment or technical skills. Find out more on www.redaviasolar.com.